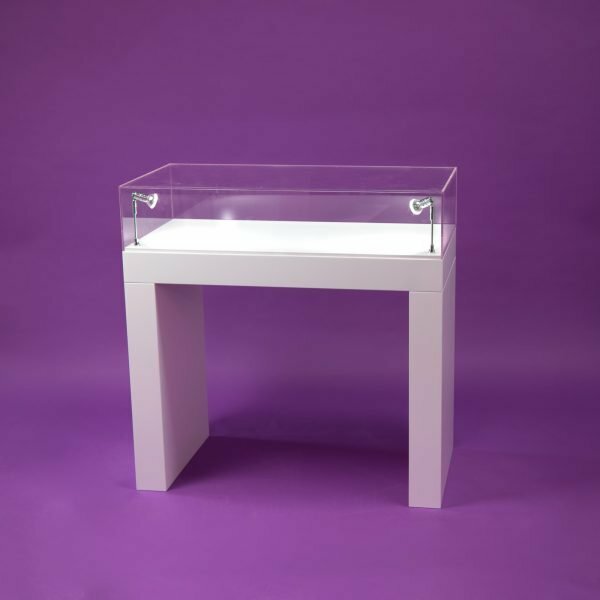 This flat pack display table with an acrylic case to display your products inside. 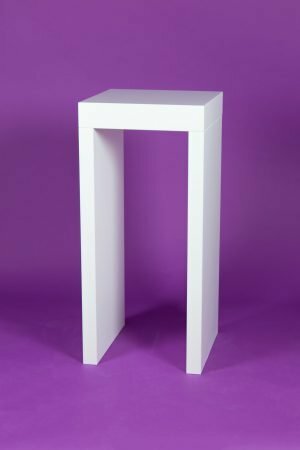 The dimensions of this case are 100cm wide, 50cm deep and 80cm high, with the acrylic case on top being 20cm high. 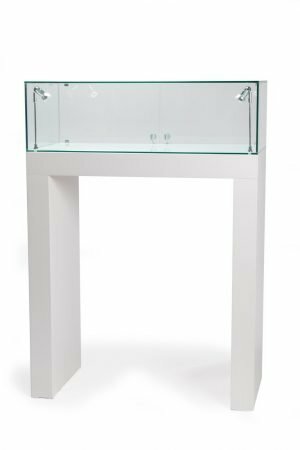 A rebate on the top of the table means that the acrylic case will sit securely in place. 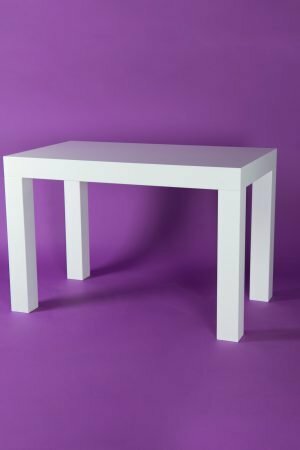 If you need the case attaching to the table with security screws, please let us know. The case will then not be able to be lifted off. Battery powered lighting is optional.